Process Analytical Technology (PAT) is defined as “a system for designing, analyzing, and controlling manufacturing through timely measurements (i.e. 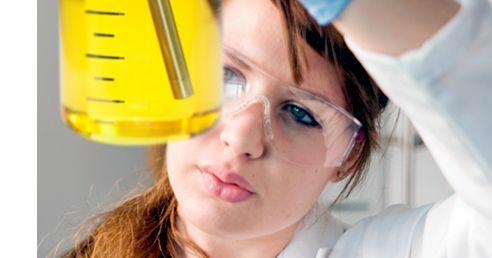 during processing) of critical quality and performance attributes of raw and in-process materials and processes, with the goal of ensuring final product quality.”11 Process Analytical Technology (PAT) measurements may be of raw materials, intermediates, and products, and these measurements can provide significant data for understanding how process variables affect chemistry, bioprocess, or particle based systems. PAT provides an opportunity to measure previously unknown intermediates, mechanisms, endpoints and can be applied in R&D, Scale-up, and Manufacturing. PAT in research and development provides timely measurements that can reveal previously unknown process components and relationships. By collecting data rich experiments researchers gain an in-depth mechanistic insight to every formulation, fermentation, reaction or crystallization. A continuous stream of data throughout an experiment provides a link between process parameters and product quality or downstream process performance. Real-time data means researchers gain immediate insight into each experiment and can make fast, well informed decisions to improve each subsequent experiment. Researchers map the effect of experiment conditions, collect empirical data to validate predictive models, and gain confidence that a process will safely scale up. Data is collected 24 hours a day to accelerate the knowledge and confidence of each scientist. Process Analytical Technology (PAT) can also be used to provide proof of process understanding regulatory submission documentation. In situ measurements are often more precise than offline measurements since they avoid the errors caused by sampling and sample preparation. The use of PAT in R&D minimizes personnel hazards associated with sampling hazardous materials for in-process testing especially when working with toxic or corrosive materials or experiments under high pressure. As a process is scaled up from the lab to pilot plant, PAT can ensure that each step is proceeding as intended. Researchers apply PAT to develop a “signature” or "fingerprint" to monitor process reproducibility during technology transfer. During scale-up, engineers often rely on PAT to verify consistent endpoint in batch processes or steady state operation in continuous processing. Inline monitoring provides continuous streams of data which does not require samples to be collected, prepared, and analyzed. This enables researchers to make decisions quickly without waiting for offline data. Thus, the knowledge-rich process information obtained with PAT allows for rapid troubleshooting, optimization, and fault detection. When an unexpected process deviation occurs, PAT can often be used to identify the root cause such as a variation in upstream process conditions, impurities, or raw materials. PAT improves safety by providing insight into progress of exothermic reactions, and where sampling may pose operator hazards. Ideally, a process is robust enough that it does not require monitoring when it reaches the manufacturing scale. However, many processes require close monitoring ensure consistency or improve downstream operations, especially when they first reach the manufacturing scale. PAT applications in manufacturing are often classified in two areas: a) Knowledge collection to improve the overall robustness of a process, including troubleshooting to identify the root cause of a process deviation; b) Process control for a batch or continuous process, especially where offline measurements are unstable, infrequent, time consuming, or hazardous. Often, the return on investment for PAT is clear on the manufacturing scale since elimination of failures, increase in yield, and increase in cycle time can offer significant savings. Considerations of implementing PAT in manufacturing include: safety in a classified explosive environment, chemical compatibility, cGMP requirements, communication with a manufacturing control system, and mounting in with process equipment. Interested in Process Analytical Technology? PAT tools may be in situ probe-based instruments, online measurements, software, or bulk measurements. Process Analytical Technology Spectroscopy tools, such as Mid-Infrared, Raman, UV-Vis, and NIR, are established techniques which provide continuous monitoring of key reaction species so researchers can understand and make informed decisions to optimize process design and quality. 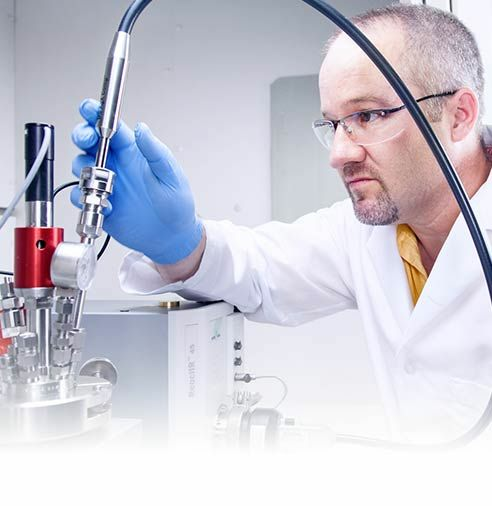 Inline particle size measurements offer direct measurement of changes to particle size, shape and count as they naturally exist in process, at full concentration, without the need to sample. By understanding these changes, scientists can detect endpoints, ensure batch-to-batch consistency, and optimize downstream throughput and product quality. Bulk measurements, such as heat flow calorimetry, allow researchers to minimize the risk of accidents by automatically controlling exothermic events. Confidence in scale-up is ensured by identifying the conditions that lead to heat release and altering them to create the safest possible process. 1. Food and Drug Administration (FDA) Guidance for Industry: Process Analytical Technology (PAT) A Framework for Innovative Pharmaceutical Development, Manufacturing, and Quality Assurance, Rockville, MD, Sep 2004. 2. Simon, L. L. et al. Assessment of Recent Process Analytical Technology (PAT) Trends: A Multiauthor Review. Org. Process Res. Dev., 2015, 19 (1), pp 3–62. 3. Chanda, A. et al. Industry Perspectives on Process Analytical Technology: Tools and Applications in API Development. Org. Process Res. Dev., 2015, 19 (1), pp 63–83. Solid and liquid formulations are influenced by particle and droplet size. Particles and droplets affect the bioavailility, stability, and manufacturability of formulations including emulsions, micro-encapsulations, suspensions, and tablets. Process analytical technology using inline particle characterization provide continuous measurements which allow researchers to measure, understand, and optimize the particle size distribution during development and ensure consistency on scale up and manufacturing. This white paper introduces the fundamentals of crystallization and presents guidelines for the design of a high quality crystallization process. Use PAT for emulsions and suspension characterization without the need for sampling or sample prep. Frederic Buono discusses how Boehringer Ingelheim uses continuous flow technology to break barriers in manufacturing innovation. This presentation describes the role of image analysis in crystallization monitoring. Andrea Adamo of MIT and Zaiput Flow Technologies discusses new tools for continuous flow chemistry advancement.